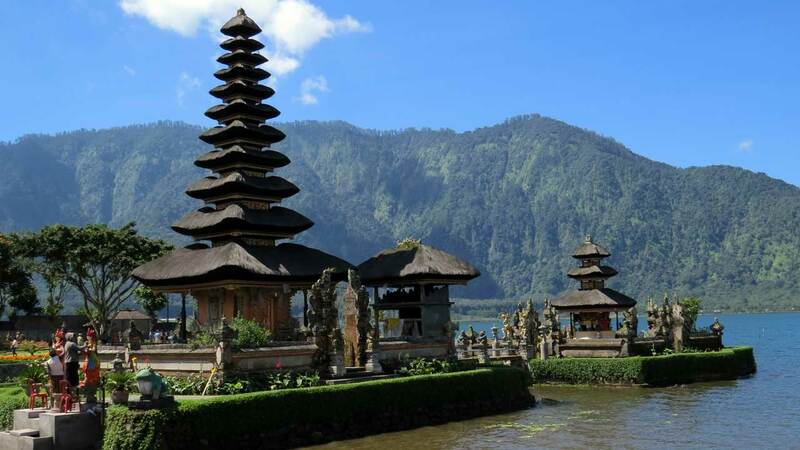 Take our East Bali Tour and marvel at the beauty of the historical water palaces of Kertha Gosa and the floating pavilions of Bale Kambang in Semarapura. 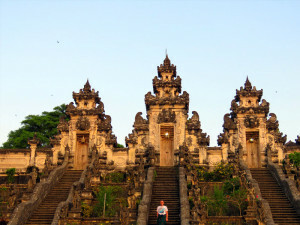 Visit Pura Goa Lawah – one of Bali’s supreme directional temples featuring a cave home to thousands of bats. Venture into Tenganan village – an isolated settlement of indigenous Bali Aga community with original houses plus a range of traditional arts and crafts available for purchase. 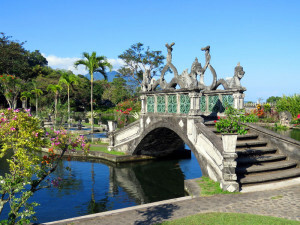 Explore Tirta Gangga – a charming, recreational royal garden park bordered by a myriad of tranquil pools with a mixture of Balinese and Chinese architecture. Discover Pura Luhur Lempuyang – this complex of seven shrines stretches out across the slopes of Gunung Lempuyang – another top-tier Hindu sanctuary. 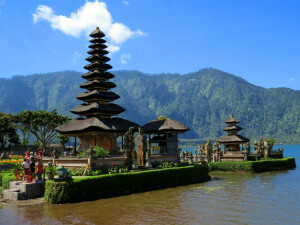 – both examples of beautiful Balinese traditional architecture once used as a court of justice. You continue your journey to Pura Goa Lawah,the renowned shrine founded in the 11th century and home to the secret cave dwelled by thousands of bats, hanging densely upside-down from its ceiling. 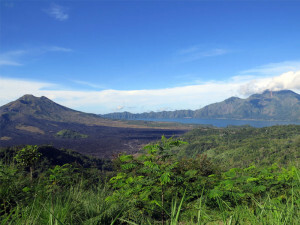 This site represents one of Bali’s supreme temples and the most important sanctuaries, contributing to the symbolic protection shield spanned over the island (the member of “spiritual backbone” – Sad Kahyangan meaning “the places of God” in Sanskrit language) and also pays the homage to the mythical snake named Basuki. 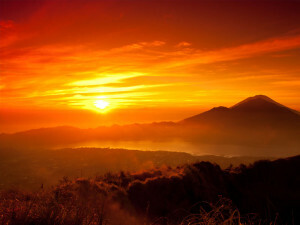 Bali community, which still practice their ancient religious rituals drawn from both animism and hinduism. This particular village is famous for producing the acclaimed geringsing cloth. 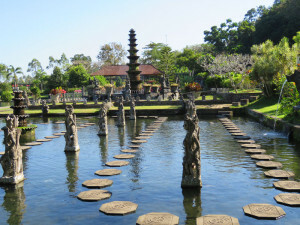 A stopover for lunch in Amlapura at local restaurant specialized in Balinese cuisine with lovely setting in a gazebo before a visit to the royal palace compound of Tirta Gangga in Karangasem regency, a truly captivating maze of pools and fountains surrounded by lush gardens and statues. The name of this venue is derived from the terms “tirta” (which means blessed water) and “gangga” (which bears direct reference to Ganges, the holy river in India). 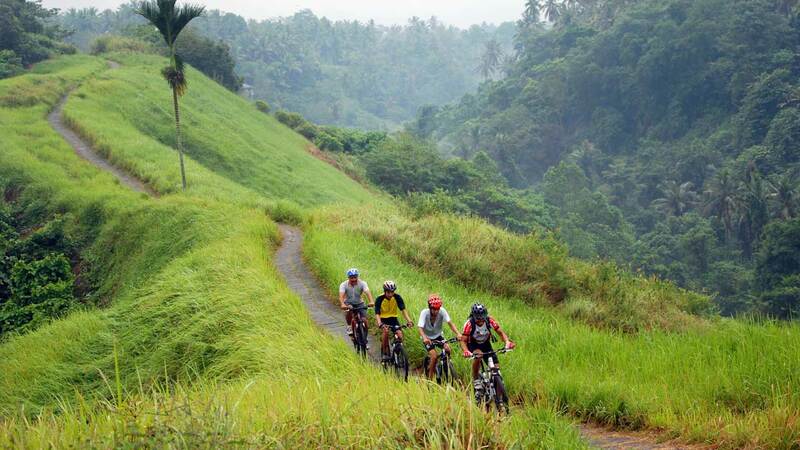 Winding roads will then sweep you past the valleys offering splendid vistas of lush green terraced rice paddies before you rise to the lofty Pura Luhur Lempuyang in the late afternoon– another directional temple with great significance for Balinese religion and culture. Scores of Balinese families visit in full ceremonial attire, balancing atop their heads the large baskets with food offerings for blessings. 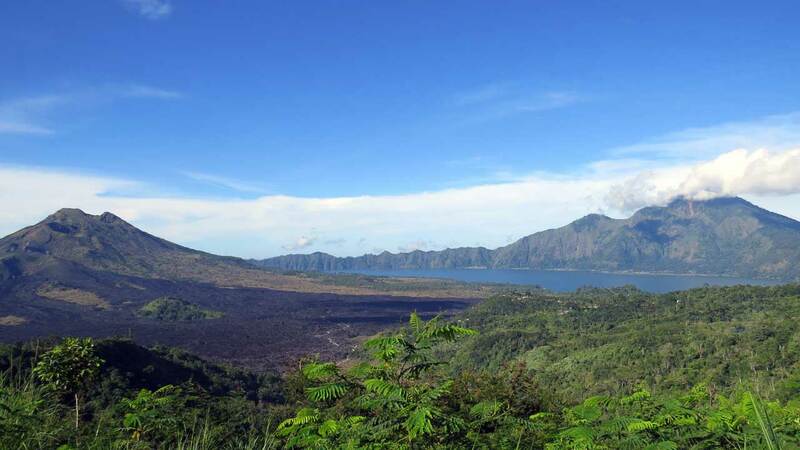 The towering dome of mighty Gunung Agung volcano, viewed from the top of temple’s staircase (weather permitting), concluding your East Bali tour on a high note.